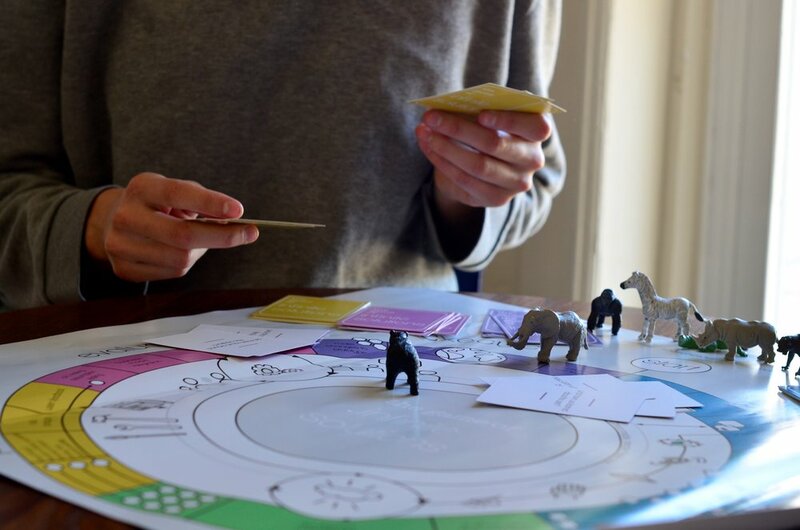 The Game of Infinite Solutions is a tool to teach teams about the design process through play. 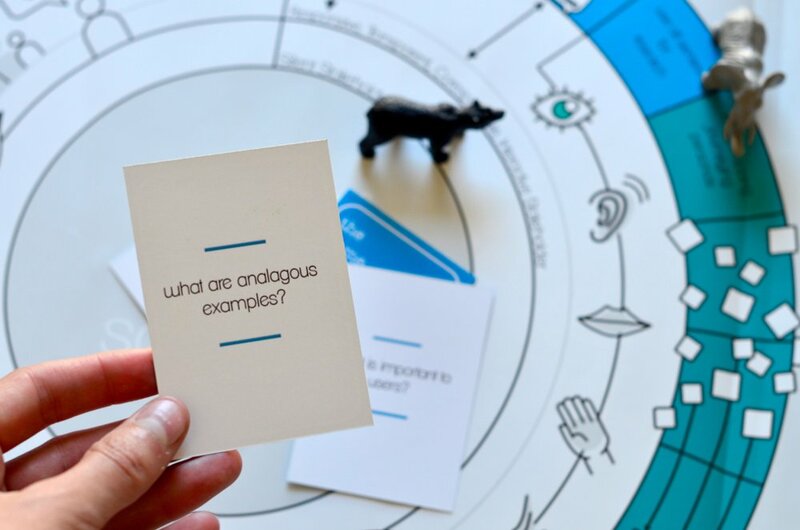 Starting with a hypothetical design problem, you and your team select your stakeholders and dive into understanding the goals and constraints of the hypothetical client. The game takes you through the 6 phases of the design process, explore, interpret, imagine, prototype, evaluate, and explore. Through the game, you are able to better sync and understand your team to be more effective when working with clients. To start the game, select which track you want your stack holders on: collaborative or silent. During each phase, game cards are drawn with questions on the back. Before moving on to the next phase, each question needs to be answered with your team.